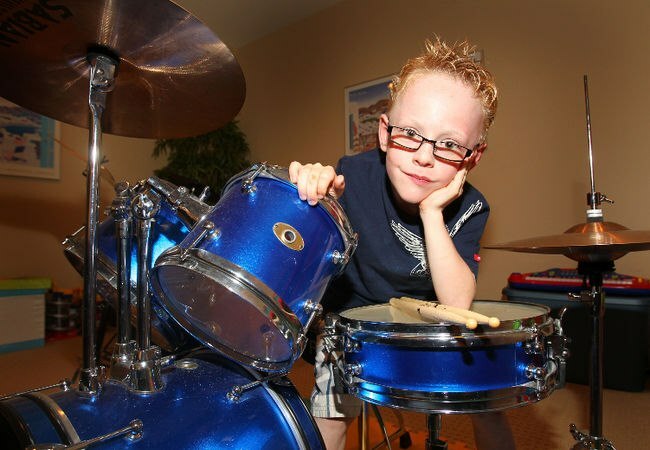 Jaxon Smith is a self taught, prodigy, Canadian Drummer. He was born on May of 2005, 3 and a half months pre-maturely but that is not why he is considered a prodigy. Jaxon is a prodigy because by the age of six and without any family musical history and without receiving any drumming lessons, he was brilliant enough to listen to songs, capture the beat in his mind and then play it afterwards, with any spoon, chopstick or drum-stick he could lay his hands on.